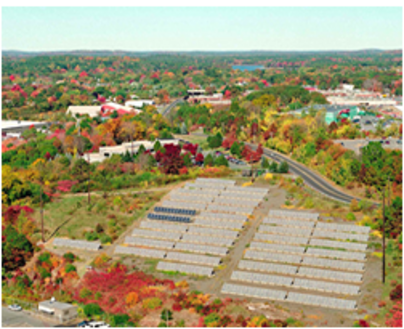 Since 1981 the Dr John W. Coleman Greenergy Park, a photovoltaic site in Beverly, MA, has been continuously producing electricity from solar energy. This experimental research facility was one of eight sites that were constructed during President Carter’s administration in the late 1970’s. The largest of its kind at the time and is now the oldest in the United States, it is the last of the photovoltaic sites still operating from that era.